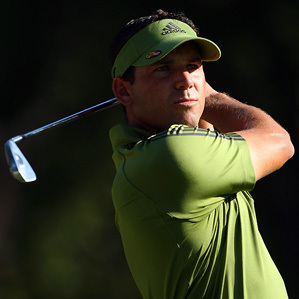 Next up is Spain’s Sergio Garcia. Incredible smile (look it up – trust me). …and as long as I’m on Spain, here’s the other amazing smiler – Alvaro Quiros. His eyebrows scare me a little, as do the wet white pants, but it really doesn’t matter. 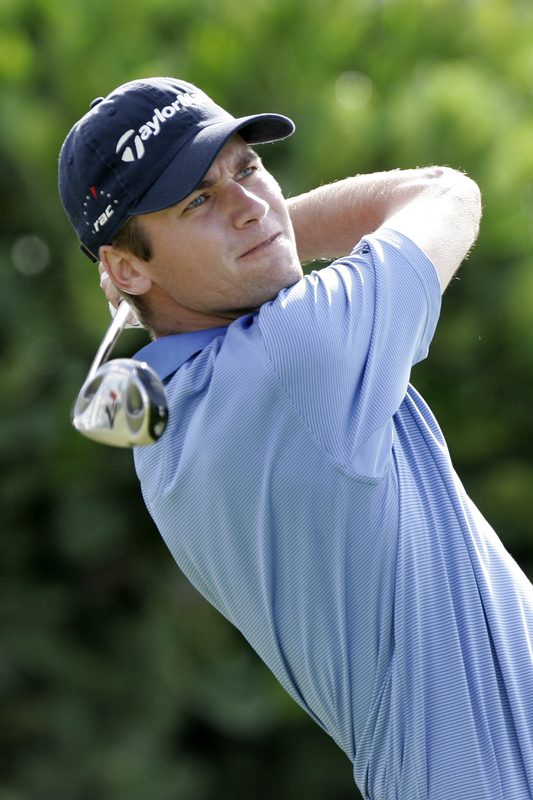 Good golfer, good smile, good….grief don’t wear white pants in the water. The US’ Sean O’Hair is another favorite from a couple years back. Doesn’t matter that he was one in a six-way tie for 30th at this year’s Masters. Cute. 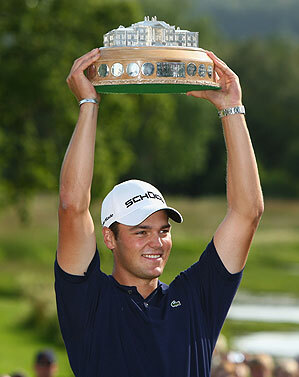 New favorite is German cutie Martin Kaymer. He did miss the cut, and he does look a bit young (he’s actually older than me, I swear!) but I’m definitely keeping an eye out for this one from now on. 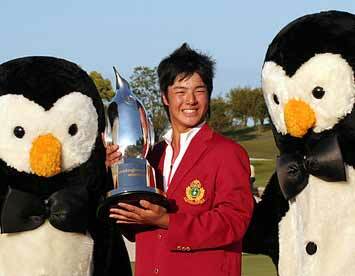 Another one that came out of nowhere is Japan’s Ryo Ishikawa. He also missed the cut, but come on. I just find him too damn cute. AND he hangs out with penguins. Win win. PS: I did leave out a certain T. Woods for a reason. Mostly because he inspired this article. As we watched him carry out an incredibly boring and self absorbed interview somewhat incognito behind the little barn thing, I couldn’t help but think “EW! What is it?! I don’t see it! 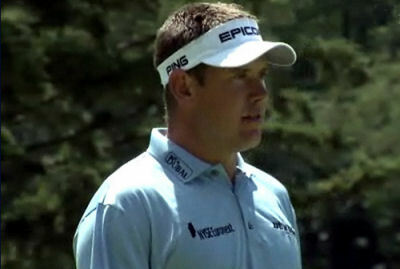 !” and decided that there must be better looking chaps in golf somewhere. 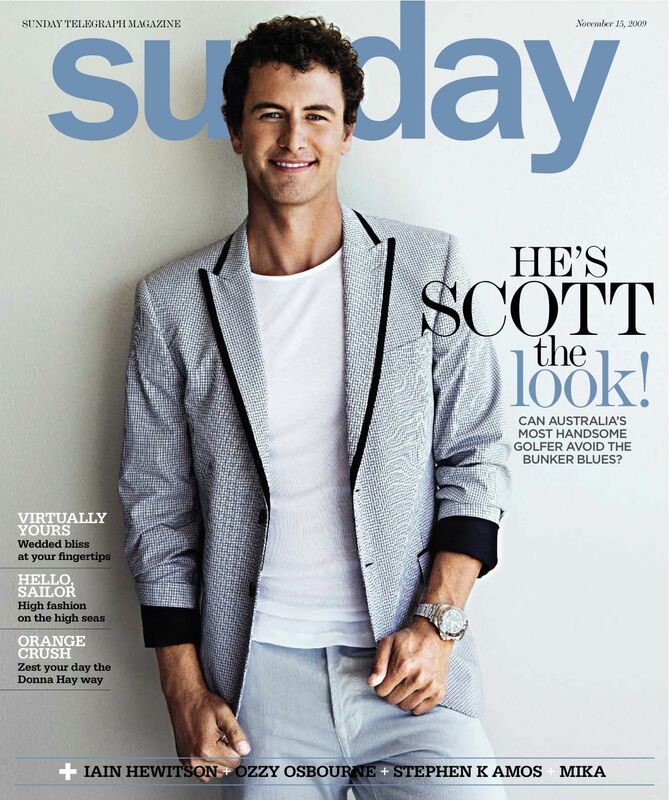 This entry was posted in Adam Scott, Buffalita, crushes we cannot explain, Golf, hotties by buffalita. Bookmark the permalink. Penguins always make the best wingmen. Very handsome fellas; thank you for pointing them out for me! 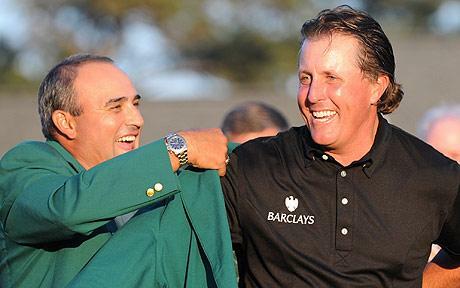 I’ll always love Phil Mickelson, but he’s not quite the hottie that the rest of the guys in this post are. Well it’s not going to get me watching golf but it’s a start. I watched more golf this weekend than I ever had my whole life. Anthony Kim was my favorite.